Gs Use Emoticons: T.I. 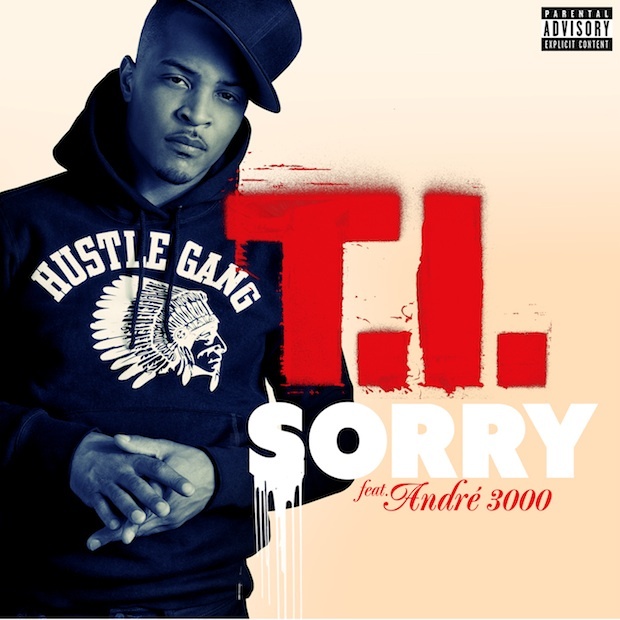 ft. André 3000 & Stacy Barthe - "Sorry"
With Trouble Man only a few weeks away, it's safe to say that T.I.P. finally has momentum shifted in his favor, with "Ball" doing numbers on the radio as well as the motivational "Go Get It." Yesterday, he revealed the track the hip hop heads have been waiting for: "Sorry" featuring Andre 3000. T.I. drops some nice sixteens over the Jazze Pha production laced with Stacy Barthe's vocals, but it's no surprise who took the spotlight on this one. Hear 3 Stacks' apology to Big Boi below, and be sure to cop Trouble Man when it drops December 16th.